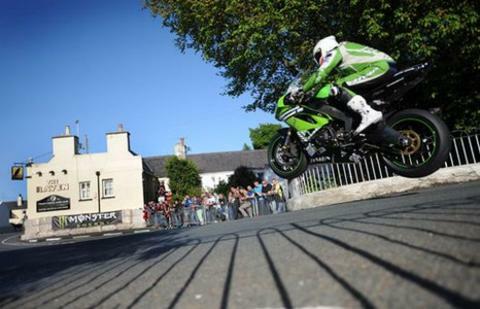 James Hillier says he would like to crack the 130mph barrier with the Bournemouth Kawasaki team at the Isle of Man TT races in 2012. The 26-year-old made his TT debut in 2008, winning the Newcomers trophy and has gone on to establish himself as one of the event's leading racers. "I haven't set myself many targets but I would like to crack the 130mph barrier on the Superbike," he said. "I'll take it as it comes though as that approach has served me well." Hillier will contest the five established TT solo races with the Bournemouth team, as well as taking part in the new SuperTwins event with help from Ryan Farquhar. He continued: "I'm really looking forward to the year ahead and with regards to the TT I simply want to keep on improving and build upon the results I've achieved. "No-one's getting slower so it's not getting any easier but I've been steadily getting faster and would like to think I'll be there or thereabouts this year." He originally made his name in the Virgin Mobile R6 Cup, and enjoyed success in the British Supersport Championship before moving on, firstly to the Metzeler National Superstock Championship and then in 2011 to the British Superbike Evo Championship where he finished eighth.